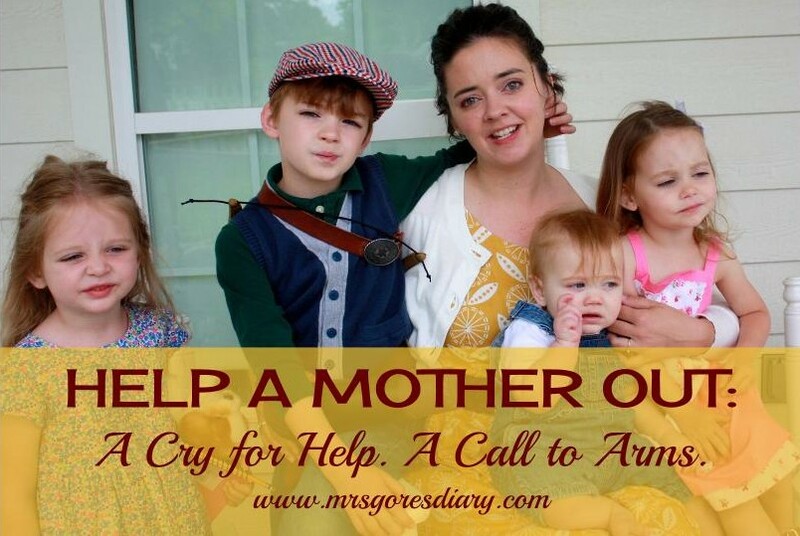 Help a Mother Out: A Cry for Help. A Call to Arms. Over the past year, I have shared a couple of posts that directly relate to the heart of a mom; personal responsibility is a big deal to me, and if I’ve learned one thing in the last decade, it is that most of my problems begin and end with sweet little ol’ me. I truly believe that the Spirit’s work, paired with a believer who is eager to mortify sin and grow in godliness, can overcome the most overwhelming odds. (I speak, of course, of dishes). In that regard, we moms are without excuse and should flee from entitlement and bitterness. Today, however, I humbly want to grab the ear of, well, basically everyone else. The friend of a mom. The mom with bigger, more independent kids. The single. The newlywed. The grandmother. The widow. The married couple who haven’t had children. The aunt. The uncle. The neighbor. the mom in your life with young kids needs help. Because, as responsible as we each are for our own actions and territory, we were also created for community. We’re supposed to be there for each other. We’re supposed to bear one another’s burdens. Er…not that little children are burdens. That totally came out wrong. 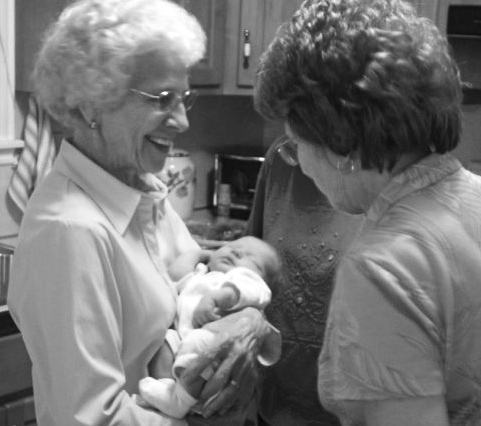 imagine that one of your church sisters is taking in her ailing mother. Imagine that her mother needs round the clock care and can’t do anything for herself, that she frequently needs to be spoon-fed, to be cleaned up, and to be changed. 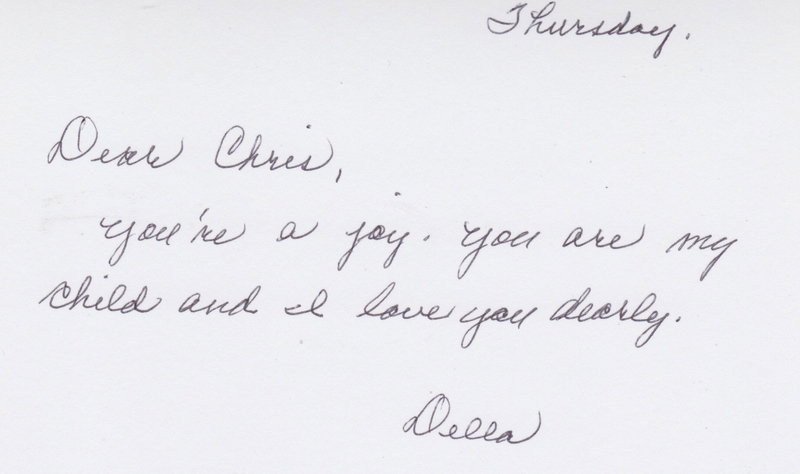 Imagine that she cried uncontrollably for long periods of time as her daughter tried to find ways soothe her. Imagine that she woke her daughter up several times a night, night after night after night, sometimes for weeks or maybe even months in a row. That would be enough, I suppose, but let’s keep going for a little bit. Now imagine that the woman also had an ailing father, one that was a little easier to care for but that still needed constant care. He could pick up food and eat it, but all of his meals had to be prepared for him. He needed help getting dressed. He had to be bathed. He would have random meltdowns, especially when he was sleepy. He would make giant messes when his daughter was focused on taking care of her mother. And then imagine that this woman had other typical responsibilities to shoulder. A house to clean. Classes to teach. A yard to care for. Groceries to buy. Laundry to wash. Relationships to nurture. Etc., etc., etc., etc., etc., etc. Pretty, pretty please, tell me her church would rally behind her to help? Would not a sister or a brother come alongside her and help her carry the load? Would they roll their eyes at her when she grew weak and wonder why she’s being so dramatic? Oh, dear. I sincerely hope not. Our churches are full of such women who have found themselves in a season of life that is routinely exhausting and overwhelming, caring for one, sometimes two, sometimes three, sometimes…FOUR!! (haha)…and sometimes even MORE little human beings who are wholly dependent upon them. 1. Many young mothers put on a brave face. Pride keeps them from asking for help because they don’t want to look weak or needy or imperfect. Thus, they show up to church, paste on a smile, and save their tears and honesty for the privacy of their homes. No one knows they need help because they never ask. 2. Motherhood is such a normal part of life. Sure, we’d rally behind the lady who was caring for her parents, because that just doesn’t happen everyday. But the lady with the toddler and the infant? That’s normal. Comical, even. It’s so cute to see her plop down in a heap of exhaustion while her two-year old climbs on her back and her baby crawls under the church pews (really…it IS cute). 3. We fail to recognize how drastically society has shifted. Where once local communities thrived and neighbors could be called upon to watch over the kids so mom could run down to the grocery store, or grandmothers were close at hand to help however they could, many moms now live on an island of sorts. As a result, many of the young moms in our congregations are drowning in housework, fatigue and loneliness and feeling completely cut off and alone. Should a lady who has little children REALLY be writing a blog post about how women with little children need help with their little children? Isn’t that like announcing your birthday on Facebook with a link to your Amazon wishlist? You’d think. But what you may not know is that I have been approved to write this article, because of the following factoid alone: I have a LOT of help in my life. My husband works flexible hours right down the street, my mom lives 10 miles away and I have a church full of wonderful people I could call upon should the need arise. In fact, the helpful and thoughtful people in my life are actually the ones who INSPIRED this blog post, giving me experience to draw from and a success story to tell of how moms can thrive under the care of a loving support system. HELP!!! I’m sinking, I’m drowning, I’m dying, and I don’t know what I’m going to do. I hope I’ve caught your ear and your heart. Stay tuned for Part Two, full of practical ideas for helping the moms in your life. Coming up Monday!